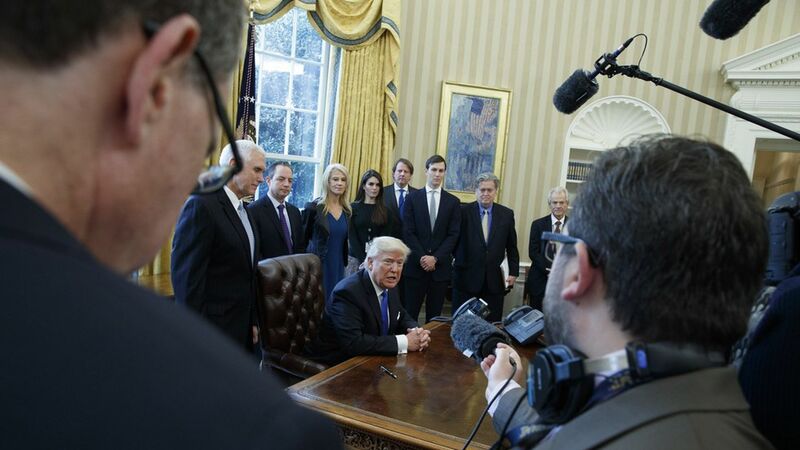 A portrait of Andrew Jackson now hangs in the Oval Office. Trump's first vacation? Mar-a-Lago, maybe as soon as next weekend. Choice POTUS quote #1: "These are the most beautiful phones I've ever used in my life." Choice POTUS quote #2: "There's something very special when you know that Abraham Lincoln slept there. The Lincoln Bedroom, you know, was his office, and the suite where I'm staying is actually where he slept."